Jacob Sunrooms, Exteriors & Baths is a family-owned and -operated home improvement company that has provided St. Louis, Missouri and the Metro East area homeowners with exceptional products, quality craftsmanship, and outstanding customer service since 1977. We are proud to offer a wide range of house siding, patio enclosures, exterior doors, and many other home improvement products that deliver a variety of aesthetic and functional benefits to homeowners in the St. Louis, MO, area. At Jacob, we run our business on two simple principles; we truly listen to our customers’ needs to provide the best product for their individual situation, and we always do what we say we are going to do. Whether you are interested in exploring sunrooms, screen rooms, or patio covers for your backyard; bathroom remodel solutions like tub to shower conversions or shower enclosures for your home’s interior; or any of our the products and services we offer, we will provide you with an upgrade that best fits your needs and at a fair price. Our factory-trained and certified installers will take great care while completing your home improvement project, using years of experience to display only the highest level of craftsmanship while remaining respectful of your home. You can be sure that the end result will surpass your expectations, leaving you with a stunning product that will increase your home’s curb appeal and value. The interior and exterior home improvement products we install for homeowners in St. Louis, Missouri and the Metro East area boast many benefits. 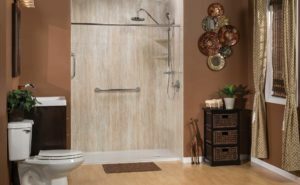 For example, our custom-made bathroom products, such as our walk in bathtubs, are equipped with a wide variety of safety features, like grab bars and seating, which help our customers with limited mobility to bathe securely. Our low-maintenance Prodigy house siding, as well as our durable Preservation replacement windows will not only transform your home’s exterior, but also boast unmatched energy efficiency, which can help reduce the cost of your energy bill year-round. 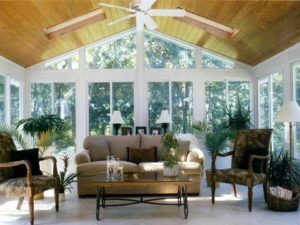 Our sunrooms, screen enclosures, patio covers, and other shade products will provide you with additional living space while helping you and your family remain protected from uncomfortable weather. And, all of these exceptional products are backed by clear, no-nonsense warranties on both labor and material. It’s simply all part of our commitment to helping homeowners create the home of their dreams. To learn more about the replacement windows, sunrooms, exterior doors, showers and walk-in bathtubs, and other home improvement products we provide to homeowners in Greater St. Louis, MO, contact Jacob Sunrooms, Exteriors & Baths today, the place Where Quality Counts…Since 1977. Our services are all performed by factory-trained professionals, using the latest and greatest in exterior materials. Partnering with some of the best manufacturers in the industry like Joyce, ProVia, Alside, Owens Corning and more, Jacob Sunrooms, Exteriors & Baths is able to provide our clients with high quality materials as well as extensive industry warranties. Combine these warranties with our own Workmanship Guarantee, and you get award-winning service from Jacob Sunrooms, Exteriors & Baths. Contact us today to schedule your free, no-obligation in-home estimate. We can’t say enough good things about Greg!